Guess what? My new Diptyque candle reference page is up. You can see the full list of Diptyque candles, their meanings, and whether or not I would buy them again. With the recent addition of Coing to my Diptyque collection, I can now review all five candles currently in Diptyque’s fruity category. The scents represented are quince, orange tree, citrus fruits, berries, and fig tree. I will tell you right off the bat that I love Oyédo (citrus fruits) and Baies (berries), dislike Figuier and Oranger, and feel confused by Coing. First I’ll explain why I don’t like Oranger. I thought Oranger was going to smell like a ripe orange, citrusy, fresh, and juicy. I was expecting, nay, hoping for, something along the lines of Tocca Stella. But Oranger does not smell anything like the blood orange of Stella. Oranger smells spicy and zesty in a uncitrus-like manner. I mainly smell cloves. Cloves are all fine and good in an old person’s potpourri, in the passing scent of a clove cigarette, or around the December holiday season. But I definitely don’t want to smell it in any other way. Oranger is so similar to Diptyque’s Pomander, that I genuinely don’t understand what Diptyque is doing here. In sum, Oranger was a major disappointment to me. Don’t buy it for my birthday. On to Figuier, Diptyque’s representation of a fig tree. Figuier, along with Baies, Feu de Bois, and Roses, is one of the top sellers in Diptyque’s candle line, and seems to be eternally popular. All I can say is “if you like it you like it. If you don’t you don’t.”* I could cop out right here and tell you it smells like a fig tree. But chances are you don’t have one in your backyard. Figuier cannot be mistaken for anything else I’ve ever smelled. It’s not spicy, it’s not gourmand, it’s not woody, it’s not floral, and it’s not citrusy. It is milky and greenish, but not in a minty or cypress way. It’s green the way a green banana is green, or the way an unripened pear is green. It is not green like grass or flower stems. Dare I say there is a note of coconut somewhere in Figuier? Okay, there you have it for Figuier. Any questions? Moving on to Coing, I want to mention that it’s a boutique only/ limited edition candle. 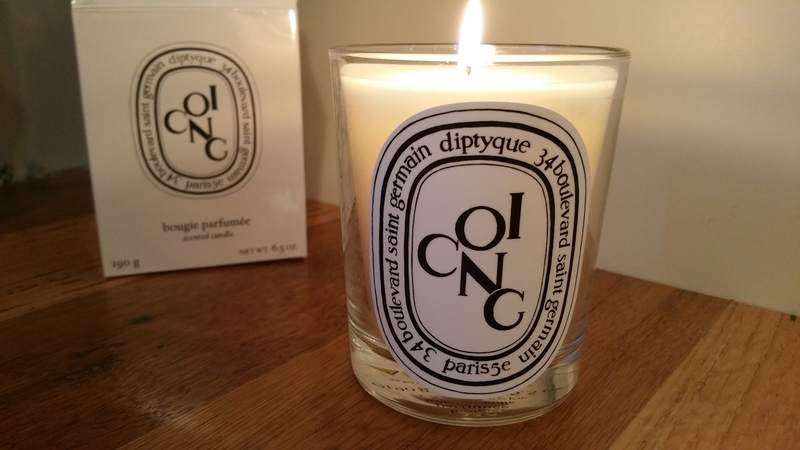 I found it recently on Diptyque’s online store, but you need to be patient if it appears out of stock the first time you look. It will probably come back into stock at least in the near future before it’s totally sold out. So, this is a quince, huh? That description really got me no where though. I mean, who even eats quinces? 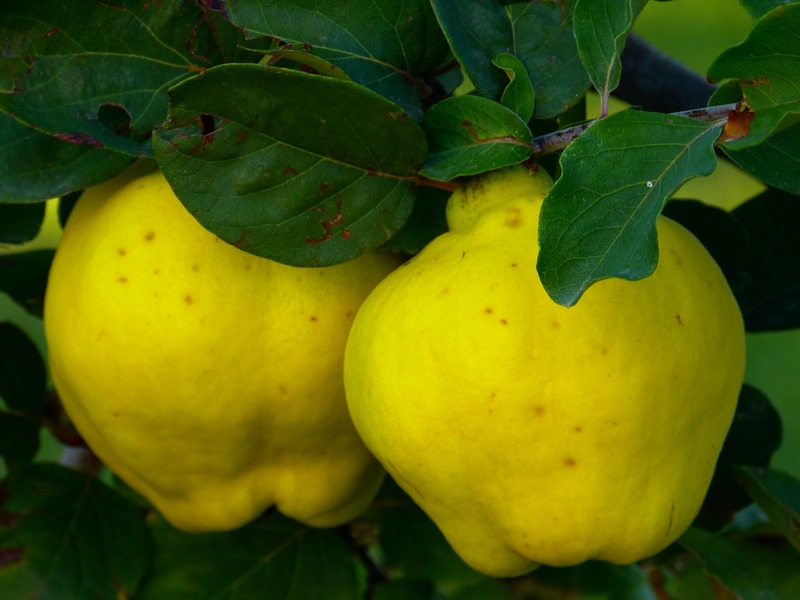 I think of Dickens’ novels when I think of a quince. I have no idea how that association came to be, but I think of 19th century, wintery London. (Do I have this mixed up with plum pudding or something?). Anyway, the only other intersection between me and quince has come in the form of a Korres Lip Butter, which used to be sold in a quince flavor. I like Korres butters and glazes, but I typically preferred Jasmine and I don’t recall what I thought about quince. So, with my poorly informed, or totally deranged, clean slate, I opened the candle box and took out this strange smelling candle. I kept trying to associate it with another smell. But my brain was seriously taxed. The best I could do was to link it a tiny bit with the smell of an orange, stewed cranberries, drying rose petals, and soaked prunes. (I am actually laughing right now because this description is so weird but it came out of my brain like the voice of a demon.) But, alas, you really need to smell a quince or the Coing candle to understand. Okay, now on to the things I love! Oyédo is translated by Diptyque as “oyedo,” which is a Diptyque perfume, but what does that smell like? In English words it would be citrus fruit. Oyedo smells to me like orange candy, the kind that used to come in those round paper tin jars of Charms Sour Balls, or in little squares wrapped in cellophane in a Charms pack. As with everything Diptyque, this isn’t obnoxiously sweet. It may be the closest to sugary of any Diptyque candle, but it’s so round and mellow that you probably won’t ever think of sugar. Oyédo is marvelous and comforting, but it has a major flaw: it has the worst throw of any Diptyque candle I’ve ever burned. Sadly I have to burn it in a small room, like a bathroom, with the doors closed, to even appreciate it. I believe it’s for that reason that Oyédo isn’t more talked about. 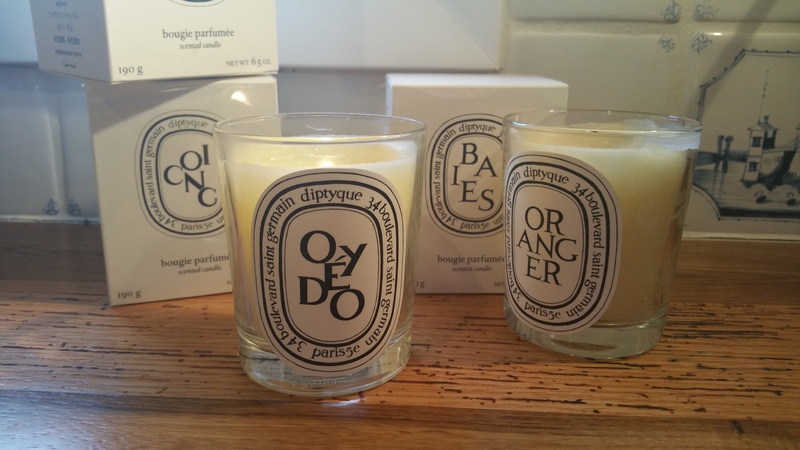 On the other hand, Baies may be the most frequently written about Diptyque candle of them all. Baies mean “berries,” although the berry smell took a while to reveal itself to me. I initially just smelled roses, but then I tried then actual Roses candle and began to understand why Diptyque named this one after berries. The candle smells like a real mix of roses and dark berries together. If Baies were a color it would be deep reddish purple. 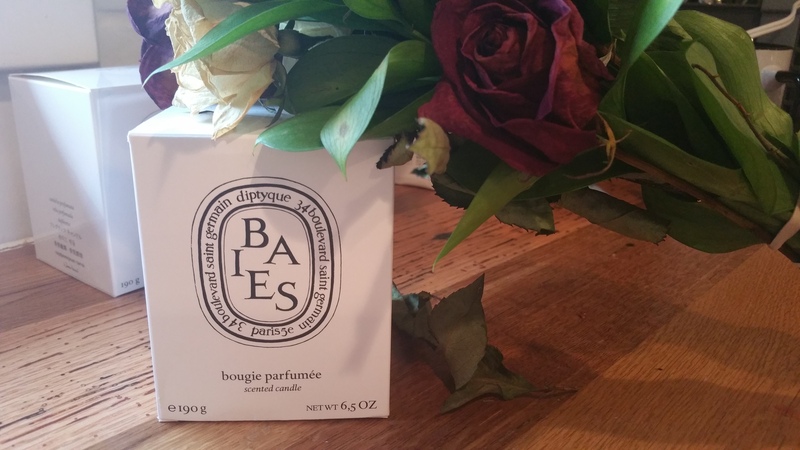 Baies is interesting because it’s at once a spring floral and a comforting winter scent, as well as a romantic and intense one. I would classify it as more feminine than masculine, but it’s not girly. Baies has the most amazing throw of any candle I’ve ever tried. Even in a wrapped package you can smell Baies. Once it’s burning you will absolutely smell it, likely in a several room radius. This is the reason Baies comes in sizes from 2.4 oz to 51 oz. People love it! 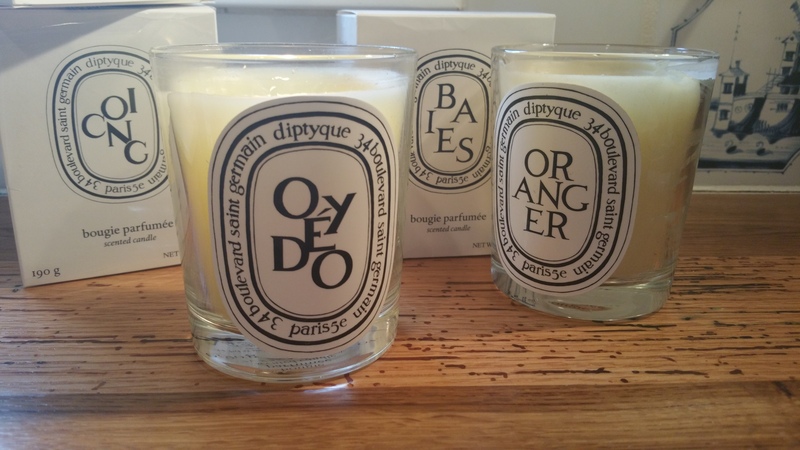 If you’re going to venture into the world of Diptyque, Baies is a great place to start. Now that I’ve polished off the fruity category I’m eyeing the spicy and herbal ones. Floral and woody both contain a long list of candles, but spicy and herbal are more manageable. Stay with me if you’re curious. And don’t forget to check out the reference page if you’re wondering what’s what! Wow, you are totally not kidding about the throw. This arrived last week and I tried it yesterday My little office is 6 1/2’x13′ and I had this burning on my desk for 4 hours when I asked my gf to come give me her opinion on the scent. She was within 3′ of it when she commented it was woody and smoky. I told her no, that’s coming from the unlit 1.2 ounce Benjoin on the other side of the room!